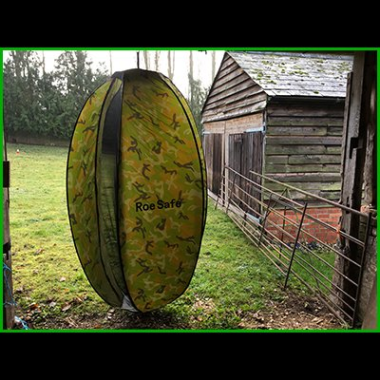 The RoeSafe is designed to provide you with a fly-free area in which to hang your quarry. 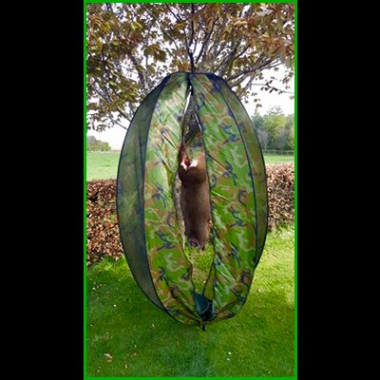 It is specifically designed to protect freshly shot deer carcasses, especially in the 24 hours between shooting and delivery to your game dealer. The flat pack design is lightweight making it easy to take into the field and much easier to store when not in use. 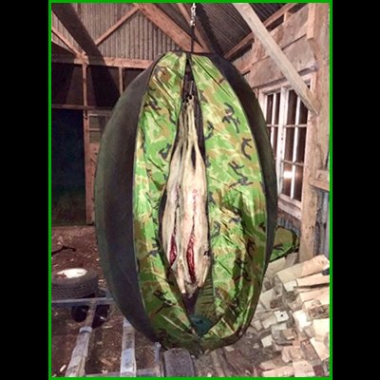 Once you undo the fasteners, the unique designs spring into shape, providing a perfect place to store deer. By keeping the deer in the RoeSafe, the deer will be safe from fly infestation. RoeSafe includes a hygienic, removable drip tray so it is very easy to clean. The RoeSafe is just £74.99. Please view the video before for a demonstration on how to use the RoeSafe Storage Bag.